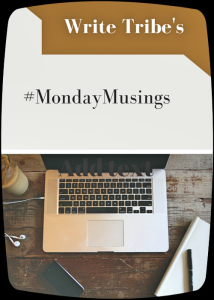 Saying bye to Writer's Block #MondayMusings & #MicroblogMondays - Reflections..
Do you believe in writer’s block? I am experiencing something of that sort but I am adamant not to call it as writer’s block. The break from blogging for two weeks has affected my blogging part of the brain. I say blogging and not writing because I write almost everyday as free writing and in my gratitude journal. Also, I along with a friend of mine, Rohini, who blogs here started a new blog to talk about social issues especially the abuses in kids that’s happening quite a lot these days in India. But after the break I find it hard to express my thoughts here. Yes, I told myself that it was just a break, that there is nothing new here, that it’s the same old place where you like to hangout with your lively thoughts and that just do it already! But then I find it easy to get behind the banner ‘Writer’s Block’ and cosy up there without much care about what to write. So for today’s Monday Musings I came up with a blank page and then figured that I will talk about Writer’s block or whatever it is I am going through. As I write this I find it easy to type in word after word and I feel kind of stupid that I wanted to blame writer’s block. It was me, and me all along and not a block of any sort, especially not the writer’s block that kept me from blogging. I feel writer’s block was a dummy for us to beat when we find ourselves, well, not writing. Since I haven’t been writing much these past few days, I signed up for NaNoWriMo. Can you believe it? I can’t, not yet. Commiting to write 5000 words everyday in the month of November, what am I thinking! Well, you will know that if I succeed, right? Let’s see. So my question is do any of you know what this writer’s block is? And how do we get out of it if in case we find ourselves facing this giant mysterious misery? If you are looking for an answer other than “by just writing” then I am at a loss. Just write without the fear of judgement. Keep writing until you find what you were looking for. Had I stayed hand in hand with the so called writer’s block I would have found it difficult to blog at all. This blabber helped me in getting me out of the writer’s block. As for me writer’s block is nothing but a little shyness in coming up with words. What do you think? Ahhh yes, we have all been there. In my case, it is mostly lack of discipline, coupled with a heavy dose of laziness, but I always rationalize it using the same term- The Writer’s Block. However, you are right. It is just in our heads, which we need to set right, and get to writing. I liked the way you have said – it is a bit shyness in coming up with words. Writer’s block or no writer’s block but yes it gets difficult to get back to writing/blogging if you have not been doing it for a while. The brain seems to have lost the glue to stick the thoughts together to form any meaning. Signing up for NaNoWrMo speaks volumes about your strength. I will be looking forward to read your posts and to get a know-how of how does it work. I want to write for NaNoWriMo too but I am afraid I.won’t be able to keep up. Don’t worry I am sure you will come up with some amazing ideas each day 🙂 keep writing. I’ve noticed deadlines work. A few years ago, I wanted to publish my 100th post on a certain date. I had about two weeks, and some 25 posts to go to reach that number. Ideas just came in, I don’t know from where, I only knew I had to write and reach my number! Were all the posts good? Maybe not. But they can always be reverted to draft if you felt like it. It helped though – writing like that on a mad rush. I find it difficult to find my rhythm whenever I take a break for longer than a day or two. The shorter the break, the easier it is to get back into things. The longer the break, the longer the period where I just sit there, day-after-day, staring at the screen. 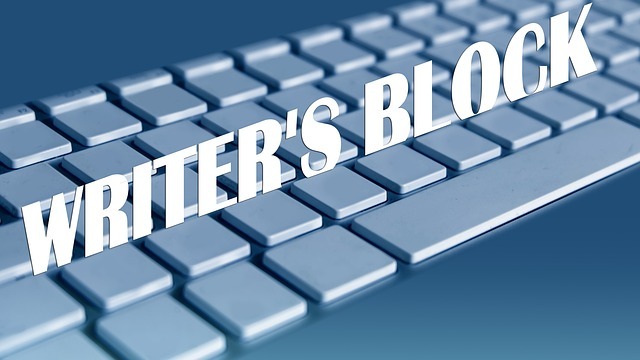 Writer’s block.. it hits all of us.. A fellow blogger terms it as Blogstipation!! Can you beat that.. Sometimes it’s just in the air.. and sometimes it’s just inside us.. this need to write.. the urge to get going.. I really have to push myself to write something every single day.. And when I’m done, I feel so contended.. it is all worth the effort.. I am so glad so came out of this block..
Just write whatever comes into your head, even if it’s nonsense. 🙂 Good luck with NaNoWrMo! That’s quite a challenge. Oh yes, I’ve certainly experienced writer’s block. Sometimes it’s because I’m pre-occupied or stressed, sometimes because there are too many things I want to talk about and they all compete with themselves inside my head, and nothing comes out! Once a friend told me to just write. So I wrote about what I could see from my window, and what was on my desk. Not exciting, but it got me writing again! I found NaNoWriMo to be amazing when I tried it. Because I had to write, and just wrote – as the editing comes later – the words do come. Glad you discovered it here, before the big November push. I’m not doing it this year, because I’m trying to finish another project. But I’ll be with you in spirit!